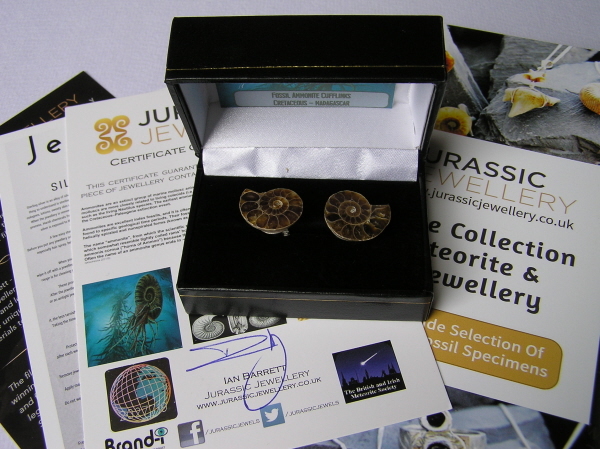 << Back Silver Plated Ammonite Slice Cufflinks - BEST SELLER! 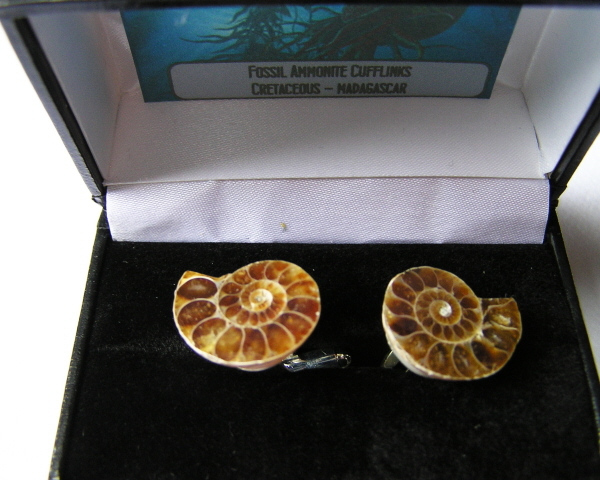 Silver Plated Ammonite Slice Cufflinks - BEST SELLER! 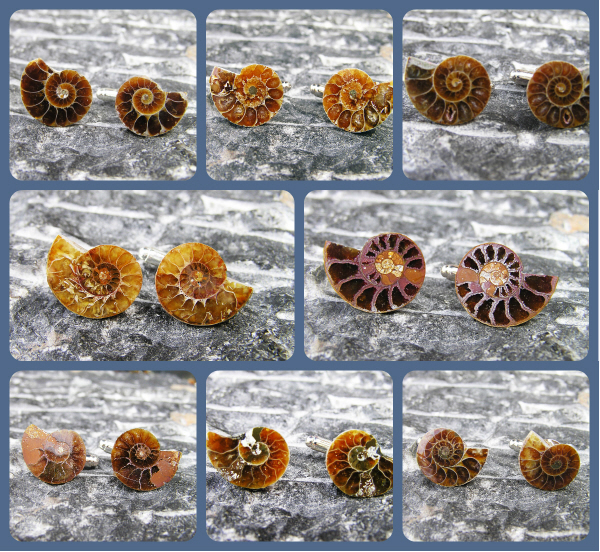 The Ammonite slices all vary slightly in colour and size from the ones shown - but these are unique fossils and makes each pair a true one off! 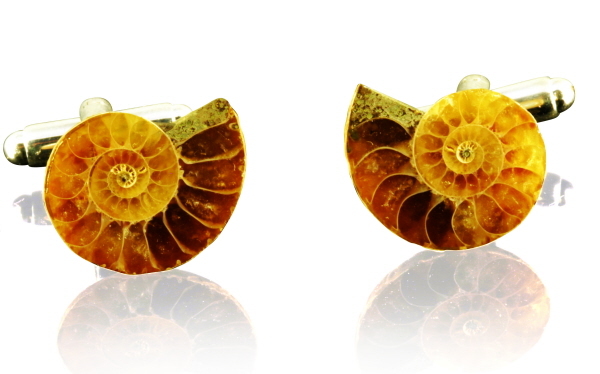 The Ammonite slices measure roughly 1.5cm -2.5cm across and are all unique. There are an amazing variety of colours and patterns within the chambers. BOXED in a high quality jewellery box - and complete with a signed certificate of authenticity with unique holographic serial number and make a truly unique gift for any man! 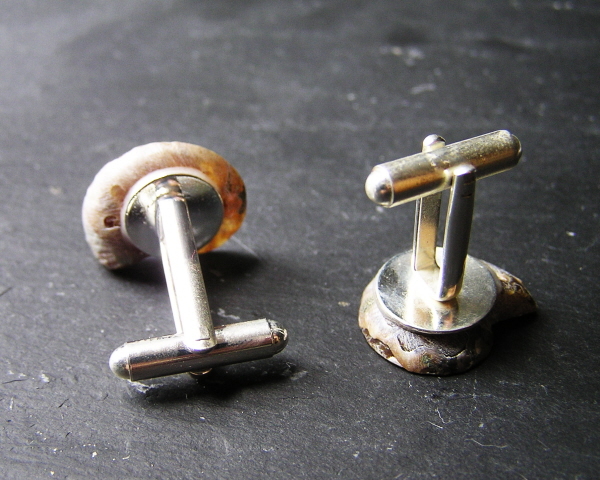 These have proved VERY popular as wedding jewellery and I have sold many sets to be worn by the groom and his best Man or Men..